EasiYo yoghurt made the cheats way. Instead of using the whole pack use the method below and store the rest of packet in sealed container in fridge ready for the next batches. You are able to do this because approx 99% of packet is dried milk powder anyway and you only need a bit of the yoghurt culture to get the process going. 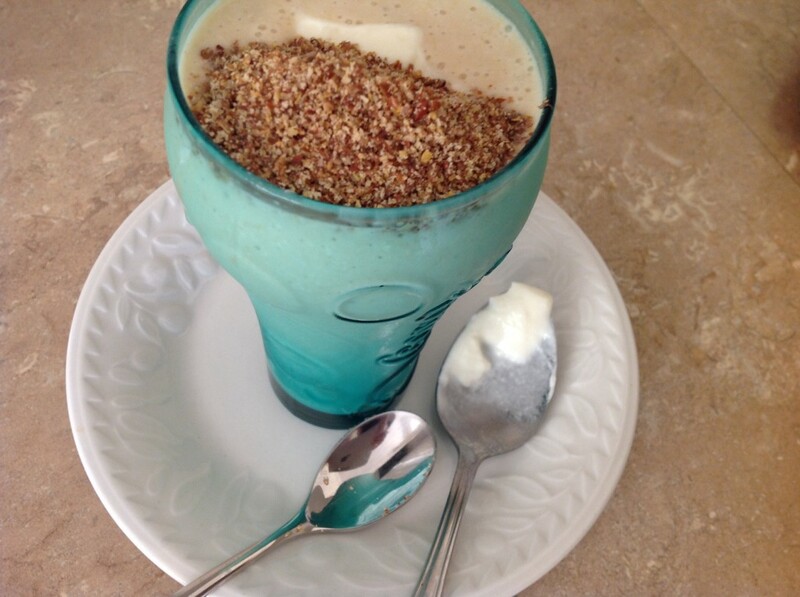 Easy yoghurt made the frugal way. This is a short post made for my friend Trin. 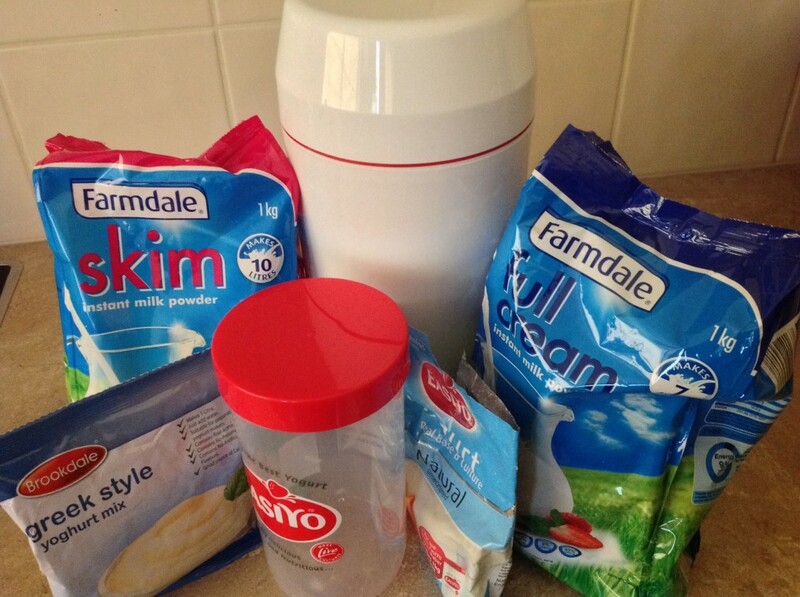 Place milk powder and EasiYo powder in the yoghurt container pictured and add most of the water. Screw on lid and carefully but thoroughly shake it up to mix. I do it over my sink cause it always seems to drip a bit. Add rest of water up to its maximum fill line. Lid on and shake again briefly. Fill the thermos part of yoghurt maker with boiling water to marked line. Place the container of mixture in and screw on the Thermos lid. Place on bench in corner where it will not be moved or disturbed. Leave 12 to 18 hours…. The longer left the stronger the taste. Carefully remove yoghurt container from thermos and place in fridge to chill. Once chilled you should have a thick-set style yoghurt. I don’t like to stir mine before eating….also remember the whey which collects in the yoghurt after some serves have been takes out is good to eat or use in baking etc. Another thing to remember is to always use a clean spoon to serve out. Don’t eat from the jar as saliva on the spoon tends to make the yoghurt turn runny. Once my EasiYo Greek yoghurt powder mix runs out I will try out the Aldi version Brookdale Greek style yoghurt mix. 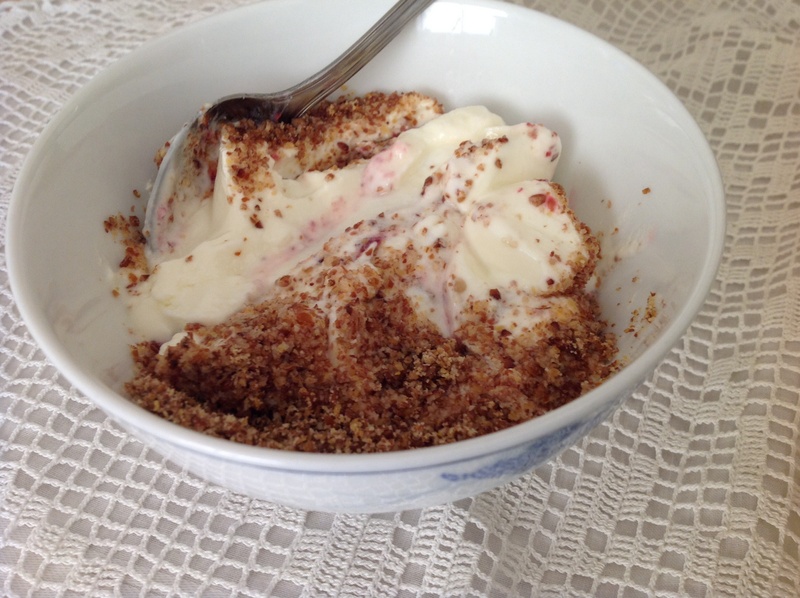 You cannot carry out the 2 TBSPOON method with the flavoured mixes as the flavour will not carry through and be strong enough…rather do a plain yoghurt and add a tiny bit of jam etc to each serve and mix through….enjoy!! As a side note, before I had the EasiYo Thermos kit I used a preheated with boiling water wide mouth Thermos picked up very cheaply in Op shop. I used it as a combined jar and thermos wrapping the whole thing in a big fat towel and let it stand un disturbed in a warm corner of bench. Winter time it does take longer to set. Once done I upended yoghurt into an appropriate sized container very carefully over sink and chilled in fridge. This way it did tend to be bit more runny. Hi Alexa. I just found your blog from Brandy’s at The Prudent Homemaker. I’m intrigued by the Greek yogurt mix – I’ve never seen that before. I’ve made yogurt with commercial yogurt to get the cultures started. Love your blog! I’ll be reading often. where you buy everything you need to easiyo? Dominica, I am not sure if you can buy this outside of Australia. Instead of the EasiYo thermos container you could make the yoghurt in a preheated WIDE mouth thermos like I used to. Just leave in a corner covered on the kitchen bench undisturbed. Once done I used to quickly and carefully tip set Yoghurt into preferred container over the sink. Then refrigerate.